Greetings from the University of Bridgeport! 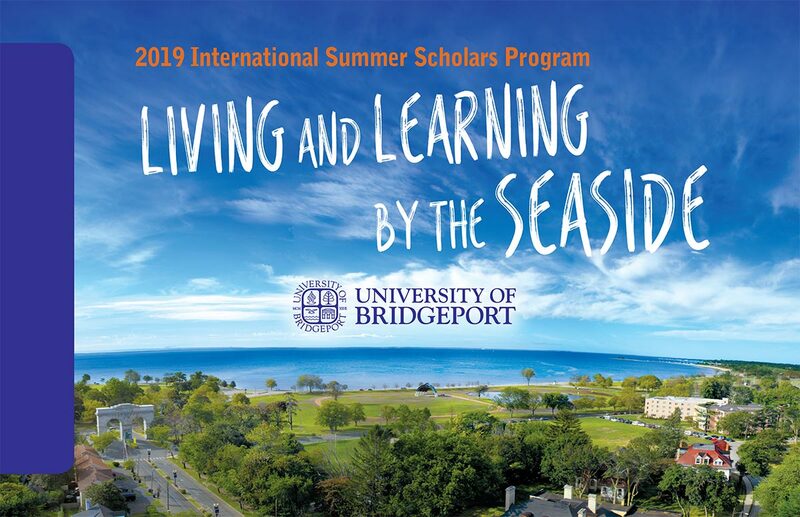 The International Summer Scholars program at the University of Bridgeport in Bridgeport, Connecticut, U.S.A., is a two-week summer program that will be held from July 7 to July 20.
Who should attend? Freshmen, sophomores, or juniors in college who seek a transformative international research experience. The program is designed to provide an extraordinary research experience in the American tradition of higher education. The University’s distinguished faculty serve as research mentors across disciplines, including business, engineering, computer science, biology, psychology, and more. Students will learn the basic fundamentals of how to be scholars in a rigorous academic setting. They also will be immersed into the American culture with guided trips to Boston, Massachusetts, and New York City. Located a little more than an hour from New York City, the campus is situated by beautiful Seaside Park along Long Island Sound. The University of Bridgeport, established in 1927, has a longstanding history of serving a high number of international students in both its undergraduate and graduate programs. The University’s students speak 50 languages and originate from 80 different countries. To learn more about this special overseas opportunity including application and fees, click here. View the program’s brochure here. Spaces are limited, so sign up by May 1st to ensure a spot. For questions, please contact the program coordinator at internationalscholars@bridgeport.edu. Please share this email with colleagues and friends with college-aged students who would benefit from this unique opportunity.